WASHINGTON — The Justice Department has called into question a key pillar of the FBI’s case against Bruce Ivins, the Army scientist accused of mailing the anthrax-laced letters that killed five people and terrorized Congress a decade ago. Shortly after Ivins committed suicide in 2008, federal investigators announced that they had identified him as the mass murderer who sent the letters to members of Congress and the media. The case was circumstantial, with federal officials arguing that the scientist had the means, motive and opportunity to make the deadly powder at a U.S. Army research facility at Fort Detrick, in Frederick, Md. On July 15, however, Justice Department lawyers acknowledged in court papers that the sealed area in Ivins’ lab — the so-called hot suite — did not contain the equipment needed to turn liquid anthrax into the refined powder that floated through congressional buildings and post offices in the fall of 2001. The government’s statements deepen the questions about the case against Ivins, who killed himself before he was charged with a crime. Searches of his car and home in 2007 found no anthrax spores, and the FBI’s eight-year, $100 million investigation never proved he mailed the letters or identified another location where he might have secretly dried the anthrax into an easily inhaled powder. Earlier this year, a report by the National Academy of Science questioned the genetic analysis that had linked a flask of anthrax stored in Ivins’ office to the anthrax contained in the letters. 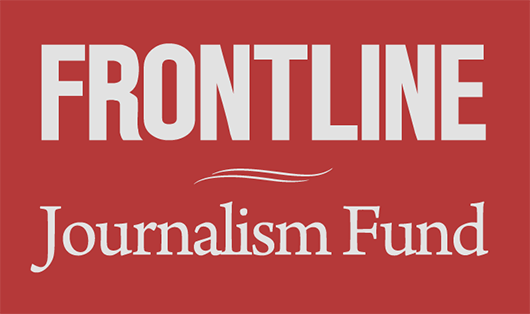 The court papers were uncovered by a reporter for the PBS program FRONTLINE which is working on a forthcoming documentary on the case with McClatchy Newspapers and ProPublica, the investigative newsroom. They were filed by lawyers in the Justice Department’s Civil Division who are defending the government against a wrongful death suit brought by the family of Robert Stevens, a photo editor at the Sun. Stevens was the first to die from a tainted letter and his family has accused federal officials of lax procedures that allowed someone to make a germ weapon using anthrax from a government laboratory. In asserting that Ivins was culprit, criminal investigators pointed to his access to the specialized equipment at the laboratory. Officials drew up elaborate charts showing that Ivins’ time in the hot suites spiked in the weeks before the letters were mailed. But Ivins’ colleagues have said in depositions for the Stevens case that the powder could not have been made in the lab without sickening lab technicians and others who had not been vaccinated against anthrax. A Justice Department spokesman Monday shed little light on the seeming shift in positions, saying that investigators still believe Ivins produced the anthrax at Fort Detrick and are unaware of evidence that he did so elsewhere. The Justice Department filed the papers in federal court in West Palm Beach, Fla., last week. The lawyers were attempting to counter allegations by the Stevens family of negligence at Fort Detrick, including inadequate controls over anthrax controls, by arguing that the anthrax in the letters wasn’t produced there. Dean Boyd, a Justice Department spokesman, said Monday that the court filing did not contradict the government’s conclusion that Ivins sent the letters. Rather, he said, the lawyers merely argued that “actions were not foreseeable to his supervisors” because he did not have equipment to dry the spores in his containment laboratory. Boyd said this meant the United States should not be held liable for his actions. “To clarify, this statement was intended to relate to the specific containment laboratory” where Ivins kept a flask of liquid anthrax with genetic markers similar to those found in the letters, Boyd said. In excerpts from one of more than a dozen depositions made public in the case last week, the current chief of of the Bacteriology Division at the Army laboratory, Patricia Worsham, said it lacked the facilities in 2001 to make the kind of spores in the letters. Two of the five letters, those sent to Democratic U.S. Sens. Patrick Leahy of Vermont and Thomas Daschle of South Dakota, were especially deadly, because they were so buoyant as to float with the slightest wisp of air. Worsham said that the lab’s equipment for drying the spores, a machine the size of a refrigerator, was not in containment. “If someone had used that to dry down that preparation, I would have expected that area to be very, very contaminated, and we had non-immunized personnel in that area, and I would have expected some of them to become ill,” she said. In its statement of facts, the government lawyers also said that producing the volume of anthrax in the letters would have required 2.8 to 53 liters of the solution used to grow the spores or 463 to 1,250 Petri dishes. Colleagues of Ivins at the lab have asserted that he couldn’t have grown all that anthrax without their noticing it. Kemp said that government officials told him and a colleague, Tom DeGonia, that the FBI could “prove that Dr. Ivins manufactured the dried spores used in the anthrax attacks, and would prove this by the records of his presence in the hot suites in August and September. 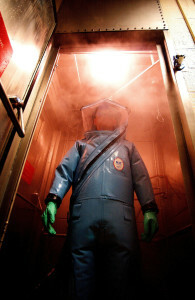 Anthrax is one of the deadliest biological weapons. Once inhaled, the tiny spores germinate inside the human body, producing rapidly multiplying, highly toxic bacteria that, if untreated, typically kill a person within days. The anthrax mailings came as a second shock to the nation just weeks after the Sept. 11 attacks. Beginning Sept. 18, 2001, the perpetrator sent at least five letters containing anthrax powder to three media outlets and to the offices of Sens. Leahy and Daschle. Two postal workers, a nurse and an elderly woman in Connecticut also died, some 32,000 Americans took long-term antibiotic treatments and teams wearing moon suits spent months cleansing a Senate office building and large postal facility of the deadly spores.